Infamous pothole crusader W*nksy has returned - continuing his x-rated fight against holes in the road armed with a can of spray paint. 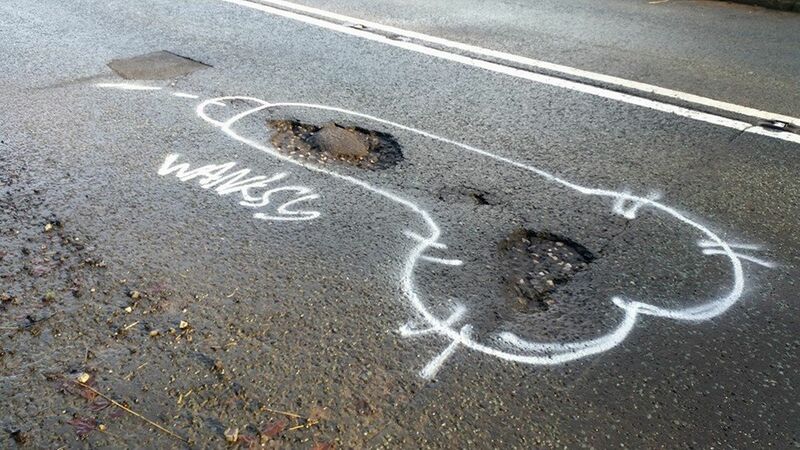 The mystery artist is back on the streets highlighting potholes by drawing a picture of a huge male appendage around them. Last April, his unconventional approach proved a success, with many of the potholes he highlighted being filled within 48 hours. But he was blasted by council chiefs for being ‘stupid’ and ‘incredibly insulting’ to residents. Best not show that to elizel, the poor boy will knock his teeth out.